Learn ancient Energy Medicine techniques of the Himalayas – sound healing with Tibetan Singing Bowls, and latest science behind vibrational and sound healing. After completion of 2 days course you will be fully certified to become sound therapist. Powerful ancient science of healing with the sound and vibration has long and incredible story. For many centuries the monks, the doctors, the shamans and common people of Japan, Bhutan, Nepal, India, Tibet have been using the bowls for healing the body and the soul, for meditation and sacred rituals. They believed in special powers of the bowls, which were the medium between themselves and cosmic consciousness, some practices were secret and were shared only between the monks and the shamans. The sound and vibration are powerful energy medicine. ~ Physical body: deep vibration releases the tension of muscles, massages the organs, rewires the brain, the stress and anxiety disappear. It has been confirmed that the cancer cells shutter after sound therapy. 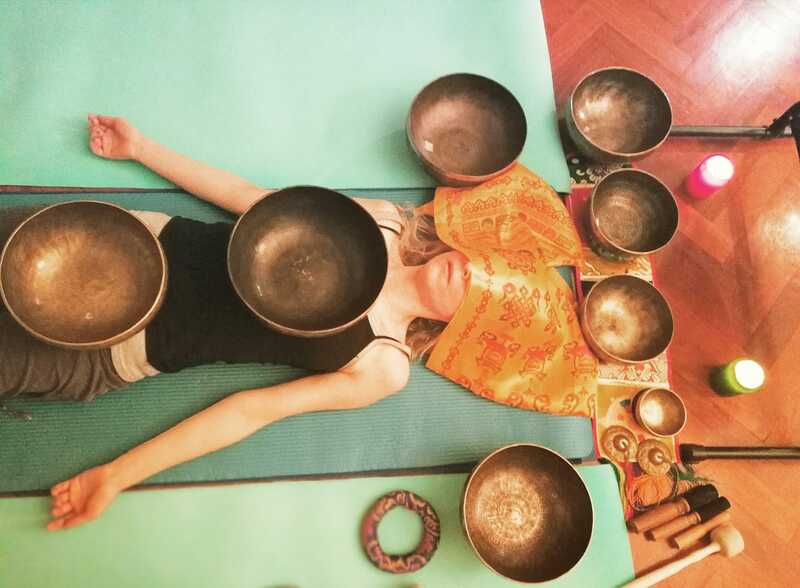 You will learn the technique of Sound Energy Massage with the bowls, and Sound Bath for balancing chakras and 5 elements, and obtain the skills of leading Sound Bath and integrate Tibetan Singing Bowls to yoga classes. This unique therapy stayed hidden for many centuries, kept sacred in Buddhist tradition of healing and enlightenment. 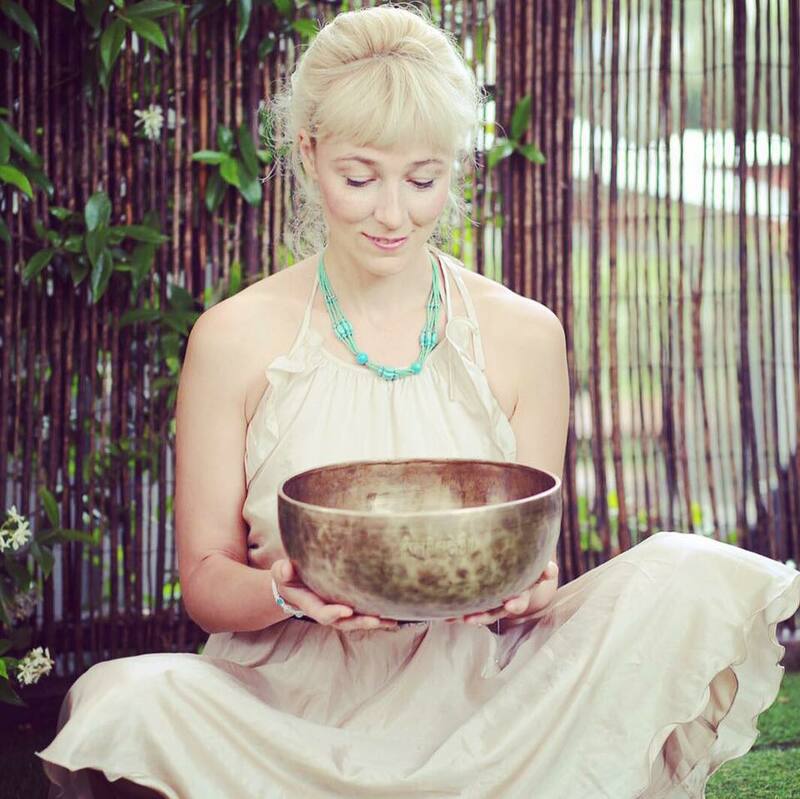 Himalayan Singing Bowls are becoming more and more popular in recent years with Tibetan lamas travelling the world, and yogis incorporating the bowls into group meditations. The course will be lead by Lola Lhamo, yoga teacher and energy healer with 15 years experience, the founder of the Vibroacoustic Therapy Association, Himalayan Yoga & Sound Network, QUANTA BIO ENERGY healing programme. Lola has deep connections with Tibetan Buddhism and yoga from childhood, she helped in building Buddhist Peace Stupa at Roerich Museum, travelled to India and Nepal to places of powers with Tibetan lamas, participated at Congress on Psychology and Spirituality in India. 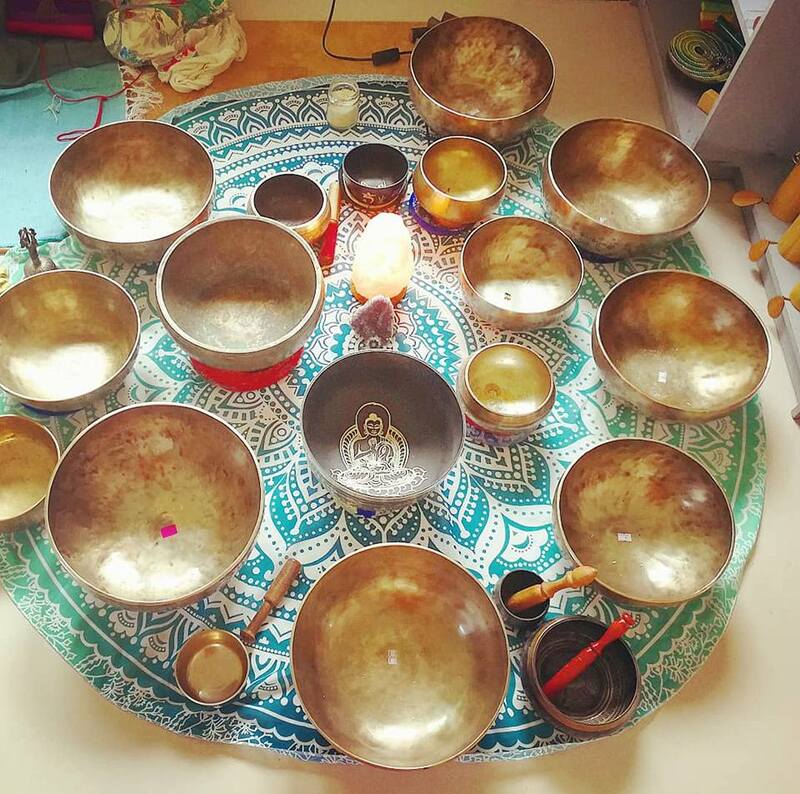 Lola has learned the techniques of working with energy, sound and vibration from Tibetan lamas and also by practicing with other masters of the bowls and energy healing. 10am-11am: Foundations of Energy Medicine. History of the bowls. Science about the vibration, sound, frequency and resonance. Quantum and field theories and their correspondence to sacred knowledge in Sutras. Practices to activate healing potential and transform consciosness. 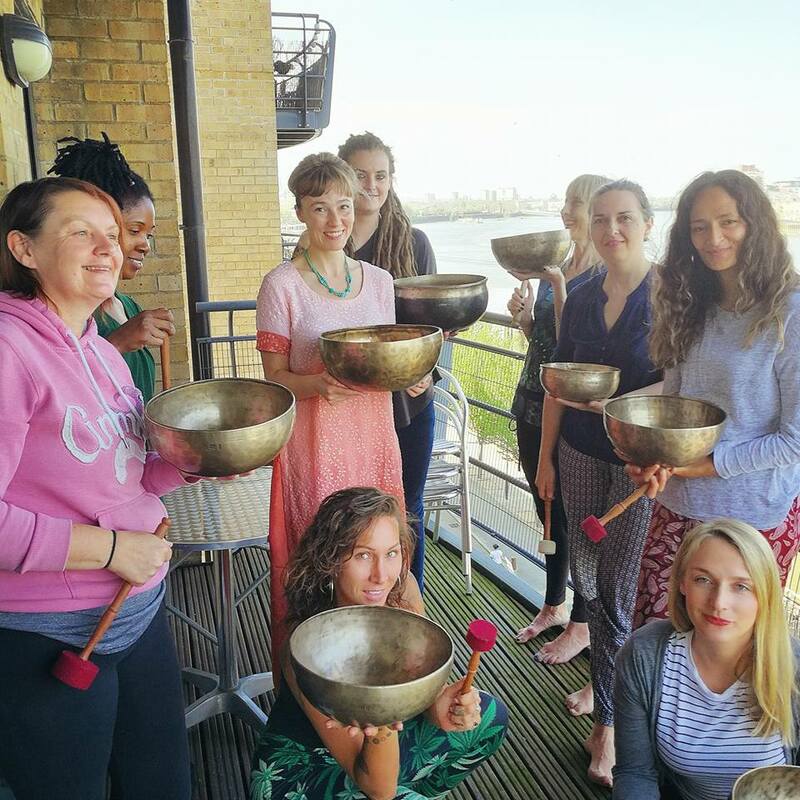 11am-12pm: Sound Energy Medicine with the bowls: the impact of the bowls on your physical and energy body, channelling, connecting to healing energy. 10am – 12pm: Chakras – energy centres of the body. Mantras & postures for activating and purifying chakras. Chakras in classic yoga, Tao and Buddhist traditions.